Unless you are charged with a Capital crime (penalty of life in prison or death) you are entitled to a bond. There are two main purposes of Bond: 1. To assure the Judge that you will attend Court and not flee. 2. To protect the safety of the community from unreasonable danger from the Defendant. The nature and circumstance of the offense charged. Obviously the more serious dangerous types of crimes will be viewed more negatively by a judge where a high bond or pretrial detention will be ordered. Those types of crimes include: Arson, Aggravated Assault, Aggravated Battery, Sexual Battery, Carjacking, Lewd or lascivious indecent assault on a child under 16, Burglary of a Dwelling, Stalking and Aggravated Stalking, Domestic Violence, Manufacturing of Drugs. The weight of the evidence against the Defendant. Obviously the more solid the evidence is against the suspect could result in an unfavorable, unmanageable bond amount. The Defendant’s family ties, property ownership, employment history and mental condition. 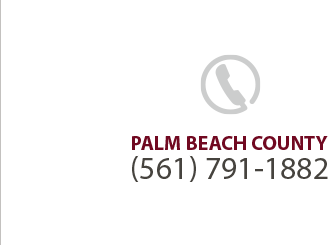 The Defendant’s criminal history, any record of flight from the courts, is the defendant currently out on bond for another pending criminal matter, is the Defendant currently on probation, which this new charge would cause a violation of probation. At a Bond hearing to reduce Bond or even set bond, the lawyer will show that the Defendant has ties to the community, e.g. job, property, family. Remember it is not necessary that a defendant's ties to a community be the same community where the alleged crime occurred. A lawyer’s job at the bond hearing is also demonstrate the judge to that the evidence against his client is weak or improperly acquired. Even in Capital crimes, one still may get a bond upon conducting an “Arthur Hearing”, where all the factors discussed above in F.S. 903.046 are evaluated as well as making a determination if the proof is evident or not evident; is the presumption great that the Defendant committed the crime or not great. Remember, even O.J. Simpson was getting a bond in his double murder case, but when he demonstrated he was a “flight risk” he was denied bond.